Product prices and availability are accurate as of 2019-04-21 23:29:26 UTC and are subject to change. Any price and availability information displayed on http://www.amazon.com/ at the time of purchase will apply to the purchase of this product. 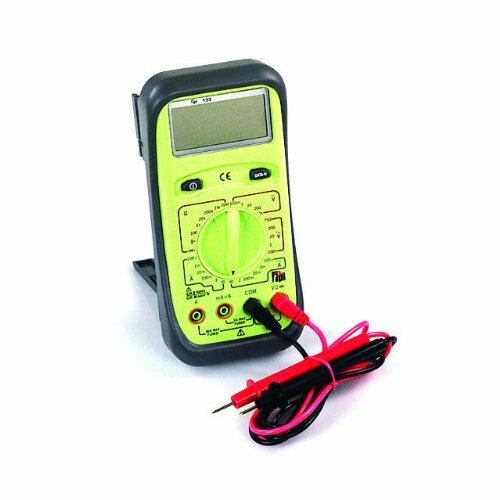 The TPI 133 digital multimeter (also known as a multitester) is an average-sensing, manual-ranging meter for measuring voltage, current, and resistance in electrical testing and heating, ventilation, air-conditioning, and refrigeration (HVAC/R) applications. The meter comes with a set of detachable test leads. An audible continuity sensor confirms a circuit conducts electricity, and a diode test detects proper functioning of a circuit’s diodes. 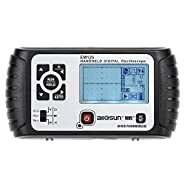 The hold function keeps a reading on the LCD, even after the meter is disconnected. A low-battery indicator signals when the meter's batteries need to be replaced. A removable rubber holster helps protect the meter during transport and storage. 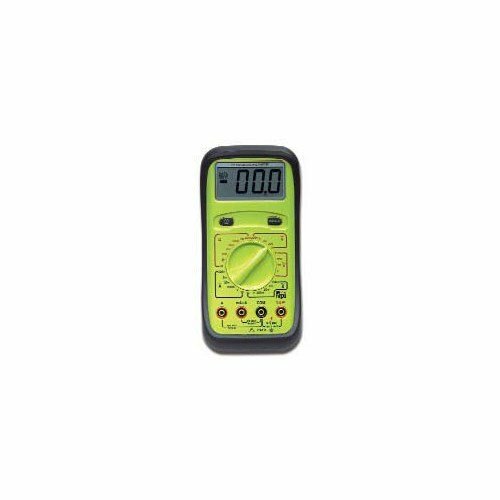 This average-sensing, or average-responding, meter provides accurate readings when measuring linear loads, such as standard induction motors and incandescent lights, where the current or voltage has an undistorted waveform. 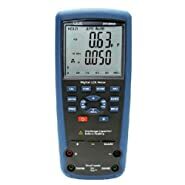 It is a manual-ranging meter and requires the operator to choose the appropriate operating range. The LCD has a 1,000-count resolution, meaning it can display up to 999 units (3 digits) before the operating range needs to be changed. It meets International Electrotechnical Commission (IEC) safety standard 61010 and is certified for Category II installations up to 1,000V, which covers large household appliances and devices connected to a fixed power supply (such as refrigerators and air conditioners), and Category III installations up to 600V, which covers items used with enclosed building circuit installations (such as service panel parts, branch circuits, and fixed installations that are connected directly to a building's AC power supply). 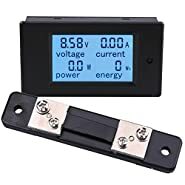 Multitesters (also called multimeters) are electrical test meters that measure multiple properties of an electrical circuit, such as current, voltage, resistance, capacitance, and continuity. Available in handheld or benchtop models, multitesters diagnose electrical problems in electrical equipment, wiring, and power supplies. 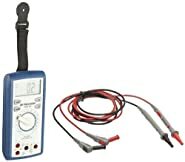 A variety of probes, clamps, and leads can be used to connect the meter to a circuit or device. Multitesters display information either in analog or digital form. Factors that influence meter choice include the electrical properties to be measured, the anticipated range of results, and the desired level of protection against transient voltages. Safety ratings are based on the International Electrotechnical Commission's (IEC) standards for low-voltage test equipment. IEC 61010 delineates four overvoltage installation categories. In general, a meter with a category IV rating will provide more protection against transient voltages than a meter with a lower category rating.